Striking and timeless, the Notting Hill Velvet Chesterfield 3.5 Seater Sofa comes from the bestselling Notting Hill Collection, which consists of a beautiful range of seating for the home. Sophisticated and incredibly stylish, the Notting Hill combines texture and shape for a unique look. The most spacious of the Notting Hill Collection, the 3.5 Seater offers ample amounts of space to sit back and relax. The piece comes available in a wide array of shades, in sumptuous Warwick Mystere Velvet that isdurable and soft to touch. With a dense foam filling, the Notting Hill Velvet Chesterfield has been designed for comfort, ensuringthe best possible seating experience. A supportive frame of sustainable FSC Sourced Timber has been used, which provides a high level of quality while minimising environmental impact. 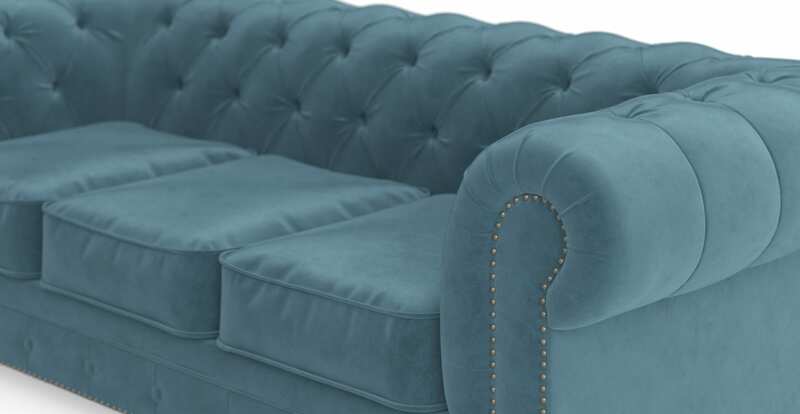 Intricate designer details adorn the Notting Hill, with polished brass studding, elegant button tufting and wooden castor wheel legs all contributing to the appeal of the piece. 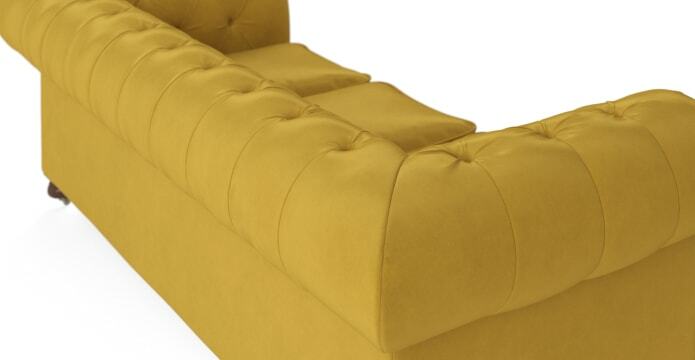 Shop more sofas and armchairs on offer from Brosa in various styles. I'm impressed with the quality of my red velvet Chesterfield couch. All of my friends want to know where I got it from and I tell them about Brosa! 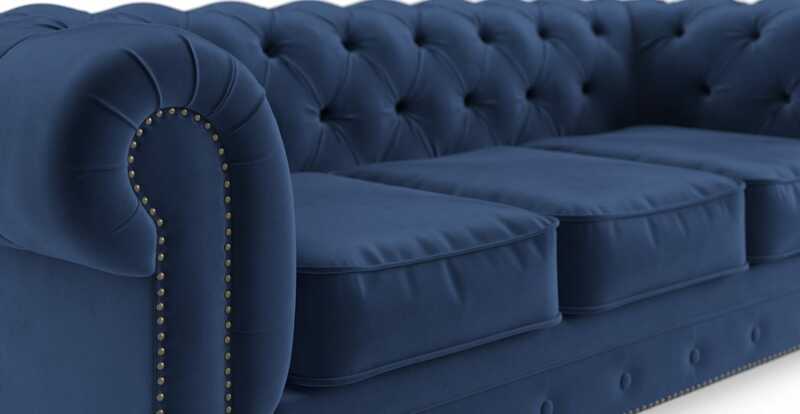 The shipping was less than expected, sales team were very helpful and I love my couches and chair. 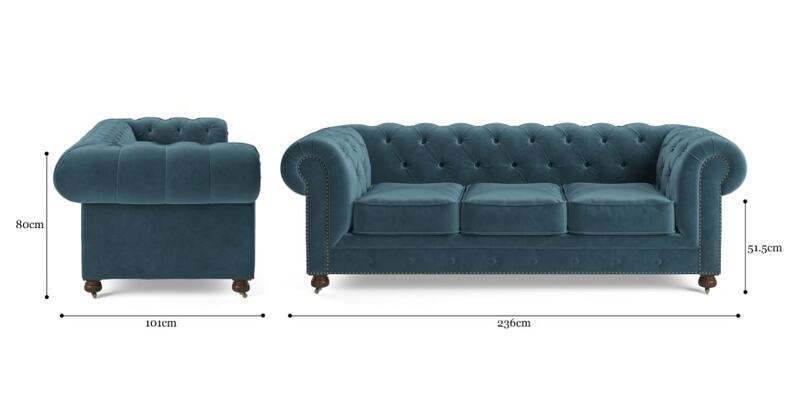 See, touch and feel our fabrics used on our Notting Hill Velvet Chesterfield 3.5 Seater Sofa. For Free! Simply select up to 3 fabrics and add them to your cart. Delivery is on us.